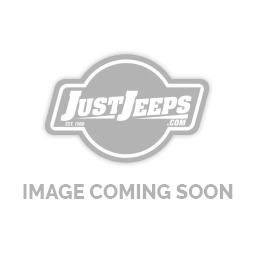 Just Jeeps Jeep Wrangler JK Unlimited | Jeep Parts Store in Toronto, Canada. The Jeep Wrangler JK seems to carry on the tradition of thrilling off-road. It has the unique harsh, terrain-conquering build. It remains one of the 21st century’s best-selling and most preferred off-road vehicles. Choosing the best Jeep parts and accessories is a personal journey. Depending on what your Jeep Wrangler JK requires, you can choose the right accessories from our broad array products. We provide floor liners, seat covers, air compressors, seat belts, fans, and more. All the products on offer have been listed alphabetically to make it easier for you to spot what you need. We have been in business for about three decades, and we have an outstanding experience in getting top-grade Jeep Wrangler parts and accessories. Regardless of whether your Jeep Wrangler is a Sahara, Rubicon, or Sport, we have all categories of top-grade Jeep Wrangler JK unlimited parts and accessories. You can get what you need at an affordable price.